".. the Syrian people and Army to their national belonging has been a key factor in the Syrians' steadfastness despite all attempts to target this belonging." H.E. President Assad's to a Jordanian parliamentary delegation, November 19, 2018. "Second, the geopolitics of Syria, the historic role of the Syrian society, although it is very small, but this is a fault line, social fault line between the different sects and ethnicities, and when you control this area, you could have control the rest of the Middle East. That’s why the struggle on Syria started during the age of the Pharaohs, and the first treaty in the world was 12 centuries before Christ, it was between the Pharaohs and the Hittites, coming from north and south, they fought on Syria, and they signed the first treaty in history. So, the geopolitics of Syria are very important, so controlling Syria was a goal to the great powers since that time till this moment. So, it doesn’t matter whether Syria is big or small, or bigger or smaller, it’s important." 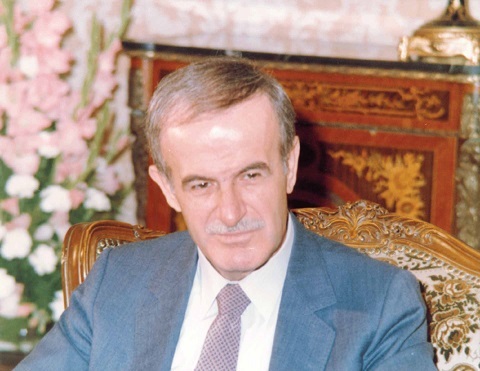 "The Syrian people, through their steadfastness and adherence to national unity, diversity and belief in the homeland, have managed to foil the terrorist takfiri war imposed on them as to fragment the homogeneous social structure of which the Syrian society has been distinguished for centuries." H.E. President Bashar Al-Assad, July 4, 2017. "The Church in Syria has been playing a key national role as to enhance national unity in general and during the war in particular, through boosting national belongingness in the confrontation of all attempts aiming to sow extremist takfiri ideas and through adherence to the Syrian national roots and to the security, stability and territorial integrity of the country." 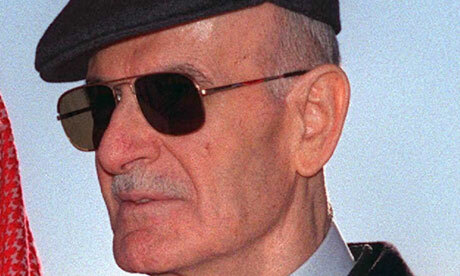 " Syria wouldn't have been able to withstand for years in the face of the war imposed, had it not been for the sacrifices of its Army and the belief of the Syrians in their homeland and in their unity." From President Assad's statements, May 17, 2017. "If you look at Syria, not today, not during the last few years; during the last centuries, it’s always diverse, it’s a melting pot of different religions, sects, and ethnicities. We have a wide spectrum of diversity. Without this wide spectrum of diversity, you won’t have Syria, regardless of the name, regardless of the political border; I’m talking about Syria as society, as it was before the war. Because of this war, you have many demographic changes, whether because of the displacement of the people internally or externally." From President Assad's statements to the Italian Il Giornale, December 29, 2016.
" My impression, and I’m confident about that, after the war the majority of the Syrians will go back to Syria. So, Syria is going to, let’s say, if you want to use the word, be reborn naturally, because it hasn’t vanished yet, this is first. Second, this war has brought many Syrians together. They learned the lessons – so many lessons – that if we don’t accept each other, if we don’t respect each other on every level of this word, you cannot have unified society. Without this unified society, Syria cannot be reborn. So, I think, not only to talk about the rebirth of Syria, I can feel today that if you don’t have terrorism, the social society is going to be much stronger than the society that you knew before the war, because of the lesson that we’ve learned." "Definitely, of course. It’s his priority, and of course it’s our priority, that’s self-evident. It’s not only our priority; it’s a Middle Eastern priority, and when the Middle East is stable, the rest of the world is stable, because the Middle East is the heart of the world geographically and geopolitically, and Syria is the heart of the Middle East geographically and geopolitically. We are the fault line; if you don’t deal with this fault line, you’re going to have an earthquake, that’s what we always said. That’s why this priority is a hundred percent correct from our point of view, and we are ready to cooperate in any way to achieve stability in Syria, of course taking into consideration the interest of the country, and the will of the Syrian people." "You might find it strange that I was concerned about this before the war, not after. Maybe in the first year of the war, yes, because this was widespread in society and influenced people. But after one year and then two years, the picture became clear. I believe that today the social structure of Syrian society has become purer than it was before the war. Before the war, there were sectarian and ethnic impurities seeping deep into society. Now this society has become purer because things have become clearer, and now it distinguishes between religion and fanaticism, between religion and sectarianism. Differences became clear, and society realized that it is in its best interest that everyone accept everyone else and that everyone respect all the different religious, sectarian, ethnic parts of the spectrum in the Syrian society, because it’s the only way that Syria can exist. That’s why I believe that despite the brutality and the bad aspects of the war, it had advantages for the Syrian society in this respect. That’s why we shouldn’t worry. I tell you that if we are able to strike terrorism, this society will be much better than the Syrian society which we knew before the crisis." "Of course, we support dialogue as a principle. We support dialogue between the Syrians when it is a Syrian-Syrian dialogue between Syrians who do not belong to foreign agendas and do not support terrorism. We support any dialogue of that nature." " It’s not tolerance, actually; they are part of this society. Without all different colors of the society – Christians, Muslims, and the different sects and ethnicities – you won’t have Syria. So, every Syrian citizen should feel fully free in practicing his rituals, his traditions, his beliefs. He should be free in order to have a stable country. Otherwise you won’t have Syria as a stable country. But I wouldn’t call it tolerance. Tolerance means like we accept something against our will; no, Muslims and Christians lived together for centuries in Syria, and they integrate in their life on daily basis, they don’t live in ghettos." "You have some schools that belong to the church, but they are full of Muslims and vice versa. So, you don’t have, no. We don’t allow any segregation of religions and ethnicities in Syria, that would be very dangerous, but naturally, without the interference of the government, people would like to live with each other in every school, in every place, in every NGO, in the government, that is the natural… That’s why Syria is secular by nature, not by the government. The Syrian society has been secular throughout history." "One of the main goals of the unprecedented terrorist aggression on Syria is to disseminate takfiri and extremist thinking in order to hit the cohesive diverse social fiber which has distinguished Syria throughout history." From H.E. President Assad's statements, July 25, 2016. "The hard circumstances the Syrian people have been experiencing have strengthened their adherence to their society’s diversity and unity." "The Syrian people are determined to keep steadfast in defense of their homeland and independent decision." From H.E. President Assad's statements, July 26, 2016. "the Syrians are ever to defend their sovereignty, integrity and fight terrorism and are never to be taken by some foreign-agenda agents who are a floor cloth for their masters." "Secularism in Syria is to have freedom of religions, sects and ethnicities. 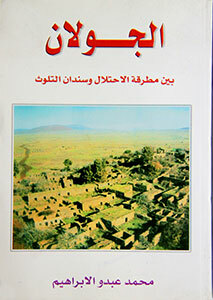 Without this, you will not have the Syria that has been known for centuries. So, this is the most important thing that we can try to protect. The second thing is moderation, because of this variety of different factors in this society for centuries, you have moderation. Without moderation you cannot have this melting pot." "The only option that we have is to defeat terrorism. There is no way. Second, to keep the secular society and its different colors. Third, to have reforms in Syria: what the Syrian people want about their political system, and their future, so I think as I said the most important thing is secularism, second more integrated than before the crisis, although it was integrated, but you always have flows in societies." "We will never be slaves but ever independent masters,"
"the future of Syria is to decide the future of the region; we have to vanquish in our battles, to be united against terrorism,"
"the homeland, Syria, is our right, the protection of Syria is our duty and God stands with right,"
"This crisis will make every Syrian rethink the weak points that we used to have in our society. For example, many fanatics didn’t see the thin line between being fanatic and being extremist. Many people didn’t see the thin line between extremist and terrorist. So that will push the whole society to shift more toward moderation, although I’m talking about a moderate society, but in every moderate society you have extreme and fanatic corners and spots. So, I think that will push our society to cherish what we had during our history as moderation and as integration, as different colors of the Syrian spectrum. So, from that side, I see it as a good side to build society. Rebuilding the country is not a problem, any country could be rebuilt later, but the main challenge is how to purify the next generation that saw these atrocities from the debris of what they saw psychologically and morally. That is the challenge, I think. I’m not pessimistic. I mean, if we get rid of the terrorists, I’m not pessimistic about the future of Syria." "If the society is divided, automatically the country will be divided. Without this division, there are no such borders to divide a country, only the people can divide it, and it could be divided when you have these clear lines between sects or religions or ethnicities. Now, if you look at the society now in the safe areas, where you have many displaced people coming from place to place, living with each other. You look at the whole spectrum of the Syrian society living together. If you have real division, they wouldn’t live with each other." "I am assured because the Syrian people have always come out of crises stronger…and it is natural that this crisis as any other crisis will give them more strength." 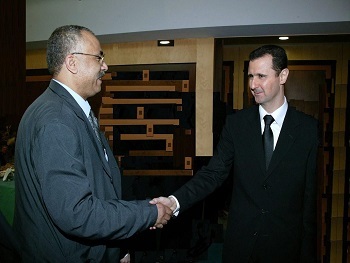 "Syria is used to creating victories and defeating the enemies of the country and nation… today we are more determined to follow the course of dignity with sure steps based on personal abilities… it knows how to do it to add a new victories and leave warmongers and blood merchants to taste the bitterness of defeat and disappointment,"
"Our only option is looking towards the future… we possess this option when we decide to make the future raher than have events make it… when we control it rather than it controls us… we lead rather than it leads us,"
"Despite that, and based on what I heard from a number of people and what I learned from other people I didn't meet, I will ask the Ministry of Justice to study the margin in which we can expand the pardon even if it needs another decree that covers others without threatening the interest and security of the state on one side, and at the same time without harming the interests of citizens regarding personal rights of citizens,"
"As you know, Syria is going through a critical stage. As I said in my speech to the People’s Assembly, there are different components of this stage. There is the conspiracy. There are the reforms and the needs. The conspiracy has always been there as long as Syria acted independently and as long as it has taken its decisions in a way that does not appeal to many parties. And as long as there are adversaries or enemies, conspiracies are natural around us. That’s why we shouldn’t give this component a lot of attention. What’s important for us is to focus our attention on strengthening our internal immunity inside Syria. 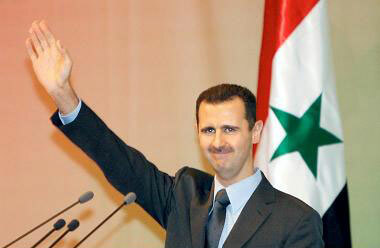 This immunity is definitely linked to the reforms we are carrying out and to the needs of the Syrian population. " "The citizen is our compass, and we get along with our citizens in the direction they identify. We are here to serve our citizens; and without this service there is no justification for the existence of any one of us. What is important is for the citizen to feel his or her citizenship in every sense of the word." "I hope that you and I, and every official in this country will be able to speak for Syria, glorious Syria which is at the heart of the Arab nation and to truly represent what our country stands for, as the throbbing heart of the Arab nation." "I have full confidence in the Syrian people in this regard, because they have the will, they have the history, and they are highly dynamic." "Syria's image around the world is very good… internationally, we have very good relations and we didn't have problems with South America, East Asia and Africa, but our relation with the west was confused… it's a little better now, but not by much." "The Middle East is geographically the heart of the world, and we believe that Syria is politically at the heart of the Middle East. We can define countries by their seas in the same way they are defined by their borders." "Syria is located on the eastern coast of the Mediterranean forming the gate to a larger and bigger region bordered by five seas (the Mediterranean, the Red Sea, the Caspian Sea, the Black Sea and the Gulf). This region, located between Asia, Africa and Europe, is considered the center in which most of the goods transactions are conducted,"
"Syria is an independent country and does what is dedicated by its convictions and interests." ''We must know that the national decisions are more important than the international ones and this is what we do in Syria as we signed the United Nations Charter, but we signed it to be implemented not to be transformed into double standard." "Syria plays an important role in the Middle East, something very important for world security." "If you want comprehensive peace in the Middle East you can't achieve it without Syria,"
"We are a player in the region. If you want to talk about peace you cannot advance without us." “What Syria witnesses of harmony among her citizens is derived from the prevailing domestic peace inside every one of us, which , in turn, makes the society live in harmony and concord.” said President Assad. “Syria always disseminates messages to others through amity, fraternity, mercy and peace prevailing among her citizens.” said President Assad. 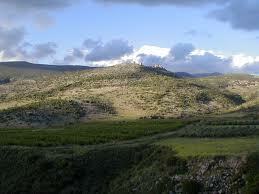 "Damascus is proud of being the starting point of the preaching of Christianity. The salvation of Saint Paul took place near Damascus, and in a place which has become a well known church he was rescued at the hands of Hanania, the first bishop of Damascus,"
“Damascus is proud in being the Capital of the Islamic State in the peak of its glory, at the time when features of Greek culture began to interact with Arab Islamic culture, thus giving the best fruits of civilization. " In the framework of the same dialogue, we look forward to communication between the two cities through exchanges of visits and through meetings and agreements." "So I said to the Pope that your pilgrimage was not completed until you visited Damascus because Christianity, although it appeared in Palestine, we protected and then went to the world from Damascus. But he said to me Syria was part of the Roman Empire. I said to him it is the contrary because we gave the Roman Empire eight Popes and five emperors." "We have a very common history. You know Caracalla path in Rome! Caracalla was one of the Syrian Emperors." 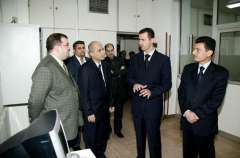 "While visiting Syria you are treading the land of history, the homeland which hosted the most ancient civilizations in the world, and was a beacon which spread its light towards humanity throughout many centuries during which most regions of the world obtained guidance from its light. From Syria, which protect Christianity after Jesus Christ, Apostle Paul proceeded, preaching, with the other Disciples of Christ, the new religion in various parts of the world and calling for fraternity, justice and equality." "From Syria as well Islam spread throughout the world advocating justice, love and equality among human beings with no distinction between one and another except by God fearing. Today, Your Holiness arrive as a dear guest among a people all of them worship the only God, solicit the help of Almighty, live together in amity and harmony, work for the high standing and prosperity of their homeland, and are proud of their ancient past and of the several civilizations of their ancestors which left for them a rich historic heritage that made of Syria a homeland of tolerance and love and sanctuary for the persecuted as well as a meeting point of heavenly religions that have spread incessantly throughout history. This is confirmed by the many relics of worship houses in various parts of Syria, the pontification of eight Popes from Syria to the Holy See in the Vatican, and the Presence of the Headquarters of three Oriental Patriarchates in Damascus. "